Military sweater Brandit inspired by the iconic models from the Bundeswehr. Equipped with additional reinforcements around the shoulders and elbows. This is necessary protection when crawling or carrying a heavy backpack. The sweater is made of durable and pleasant to the touch polyacryl. The fabric provides optimal thermal comfort. In addition, the sleeves, bottom and collar are finished with elastic cuffs that adapt to the shape of the body. The chest pocket is closed with a hook and loop flap. If you want to attach the chevron, you can place them in a special place on the shoulders. 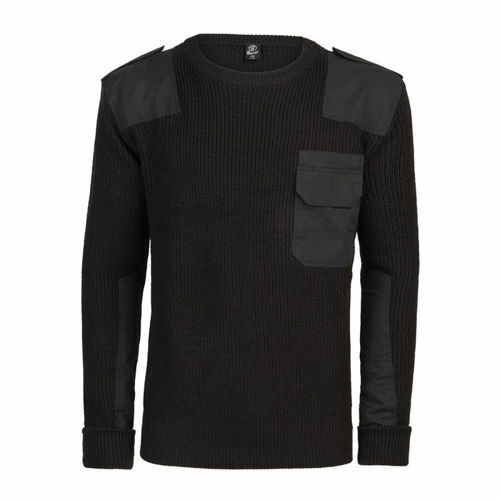 BW military sweater is a solid clothing designed for difficult weather conditions.